I first started taking my writing seriously when I was in my final year at high school. That same year, I had my first non-fiction piece published, thanks to the encouragement of one of the teachers at my school. When I was nineteen, I had my first fiction piece published—it was a humourous short story that appeared in a major newspaper. I love how the female characters are so easy to relate to. With chick-lit we often get a glimpse of very ordinary young (or not so young,) women who find themselves in extraordinary circumstances. It’s always fun to watch the whole thing play out. The endings are kind of fun too—some authors like Adele Parks give their characters a very realistic ending while others like to indulge in a bit of fantasy, the kind of ending everyone would secretly like to have in real life. I’d like to think that each of my books is a little bit different. 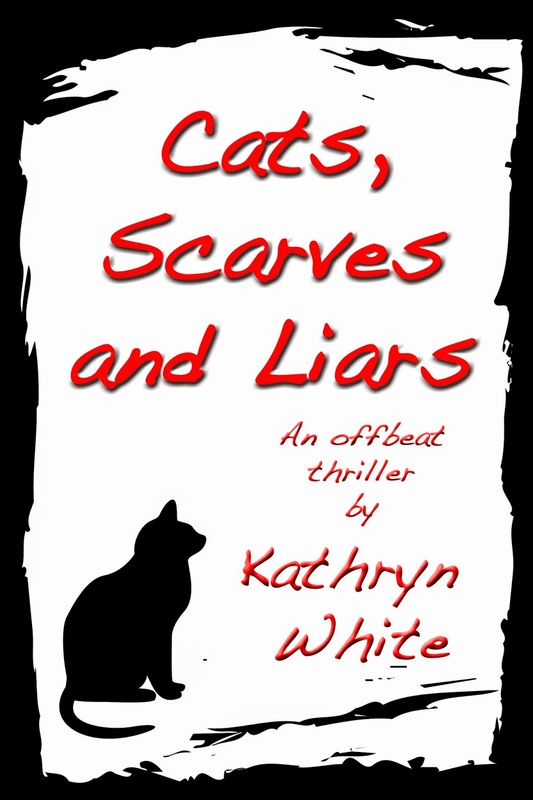 Cats, Scarves and Liars is an offbeat thriller about a young widow who finds herself in some very extraordinary circumstances, Behind the Scenes is a YA tale about an aspiring actress who lands a part on her favourite television series, Best Forgotten is about a young woman with amnesia who may or may not have murdered her ex-boyfriend and Being Abigail is about a woman who rebuilds her life after a failed suicide attempt. All of these novels are set in Australia—Cats, Scarves and Liars and Being Abigail are both set in my hometown, Adelaide. Cats, Scarves and Liars came completely out of nowhere. I was writing the opening scene where Peppa is in her kitchen speaking with Charles as a bit of a writing exercise one afternoon, just to try something a bit different. I started writing at about 2pm on a Saturday afternoon. By 11pm that evening, I realised that I had just written the first 15,000 words of a novel. I decided to keep writing and within three weeks I had a novel that I had never consciously intended to write. In many ways, it was a lot of fun writing a story when I had no idea of the ending or what might happen next—I thrive on that kind of creativity. That said, to write that way means having to do a lot—and I mean a lot—of editing and redrafting. What I ended up with is a novel that is quite unique in a lot of ways. Behind the Scenes was inspired by the road not traveled. For a while there in my teens I wanted to be an actor, but I eventually found myself gravitating toward writing. One day, I found myself wondering what might have happened if I had become an actor instead and decided to write a book set in the television industry. That said, I have very little in common with my heroine, Catlin Ryan, who is a little, tiny bit of a grouch. Being Abigail was very character driven. In my teens, I used to write a lot of stories featuring Abigail as a young woman. She was a lot of fun to write about—she’s very highly strung and can often see the humour in very ordinary situations. (In many ways, she is a lot like me.) One day when I was in my mid-late 20s, I found myself wondering what Abigail might be like as an adult—if she and her love interest Samuel had stayed together and whether or not she was happy. Being Abigail was concieved after I decided that her life probably had not worked out quite as she planned. I originally published the novel as a website and later rewrote, edited and polished about two months worth of entries and republished it as a book. I have not updated the website in a long time and no one really visits it very much, but I’ve kept it up just for fans of the book. Best Forgotten is a story of one young woman’s complex inner life. It was inspired by a writing exercise. Ooh, this is a tough question. Most definitely A Room With a View. Maybe Someday by Colleen Hoover and We Are Called to Rise by Laura McBride. Kathryn White. Just kidding, lol. I think there is a huge pool of talent out there, especially with independently published authors, the ones who are writing as a means of self-expression and who are pushing the boundaries with non-traditional story arcs and themes. White Walls by HMC is one example, My Beautiful Suicide by Atty Eve is another. As for traditionally published authors, I think Lottie Moggach who wrote Kiss Me First deserves a lot more credit. At home or at a park near my home—if the weather is nice, that is. When I was in primary school, I wanted desperately to be an author “one day.” In my final year of high school I found myself gravitating back toward that dream and wrote my first novel while I was meant to be studying for my dreaded year twelve exams. Fortunately, I passed and was one of the few kids from my school to be offered a place at university. 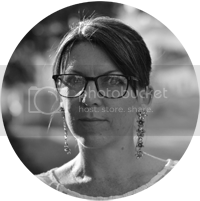 I chose to study English Literature at Flinders University and ended up staying on to do Honours. It was a solid training ground for my writing career. I later went on to study Marketing. I really don’t know ... But please pick someone who can one, act and two, look good with dark hair and glasses. I noticed you live in Adelaide, Australia. How has this location influenced your writing? Adelaide is a very artsy city. Every March there are a lot of festivals and during the remainder of the year there is usually lots to look at and be inspired by. I think one of the big things is that not many people outside of Australia know that Adelaide really exists. It’s kind of fun to write about my home city and put it out there for the world to read about. Shopaholic or shopadon't? Shopaholic. Well, at the bookshop at least. E.L. James or Jilly Cooper? I’m choosing E.L. James. She did what most indie authors can only dream of.